HHIP Block dimensions are 1-3/4" x 1-3/4" x 3.2". For fast set-ups on conk machines. For parallel, square or hex shapes as well as for cross hole drilling at 60, 90 or 120 degrees. Made of tool steel hardened and ground to 0.0005" flatness, sureness and parallelism. May be used standing upright. Uses standard ER collets. 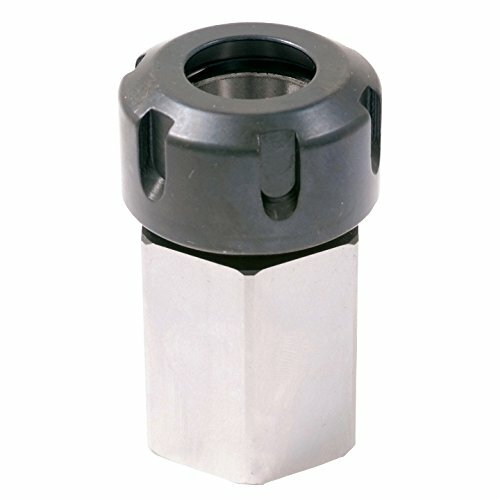 1-3/32" through hole allows for long parts to be machined. ER nut included. Block dimensions are 1-3/4 x 1-3/4 x 3.2"